2018 is here with the best wedding season ever. A number of wedding trends have emerged that completely change the way weddings are held. At Fosh Catering we offer an ultra-modern service, which puts us at the forefront of the latest style, decorating, catering, and venue trends. Today we want to share these wedding trends with you. Take note if you’re planning how to celebrate the happiest day of your life! The venue. Choosing the location is a difficult task, it needs to be a special place that represents everything about you as a couple. At Fosh Catering we can offer you fairy-tale venues which you can arrange and decorate to represent you as a couple. Struggling for ideas? Industrial-inspired themes are one of the biggest trends. Are you feeling bold? #WeddingTime. Do you want an instagram-friendly wedding? It’s really easy! Look for a hashtag that will put your wedding in the limelight. Areas full of surprises and the photocall are perfect for making lifelong memoires for your family and friends. Lay out a guest book for everyone to write a message! Set up a beauty corner for the girls to touch up their hair and make-up when needed. Gold motifs. Metallic tones are in in 2018 both in fashion and interior design. They confer style and sophistication. At Fosh Catering we like to use golden thread to place decorations that create a magical setting and tell stories. 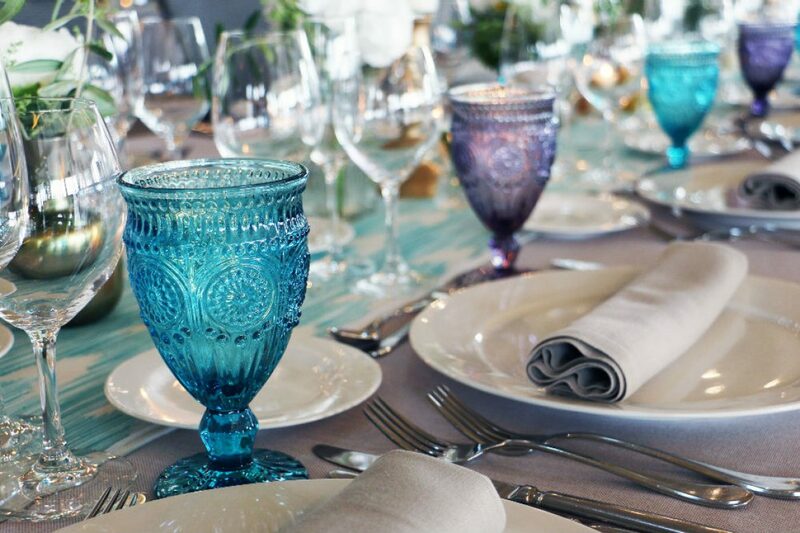 We complement this with our crystal service which can be given a splash of colour. The details. Paying attention to the details ensures the best setting: string lights casting soft light, sky lanterns or messages written in neon! Create a unique setting for the most special night of your life. Do you want a light show? If it’s a night wedding, light Chinese lanterns and release them into the air during the celebrations. If it’s a daytime wedding, you can use balloons instead for a picture-perfect display! Traditional or modern menu? Times have changed! Choose our modern cuisine and enjoy Mediterranean flavours as you’ve never tried them before. At Fosh Catering we make choosing your menu easy if you have an allergy. Our approach is to be as open as possible with all our clients. Remember to serve a midnight snack. After a day celebrating and dancing, one of the most appreciated trends this season is the second serving of light snacks: canapés or, why not? a chocolate fondue for those with a sweet tooth! Have you made note of 2018’s trends? 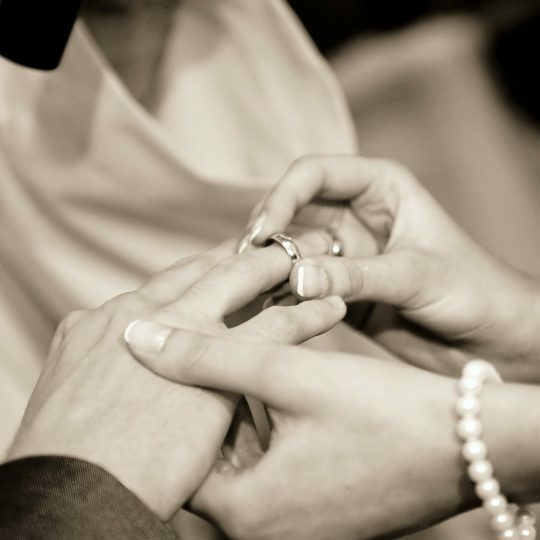 At Fosh Catering we are aware that a wedding has to be a unique and magical moment for the happy couple. That’s why we work with our clients to provide the most modern and fashionable touches. Feeling inspired?